Wendy is a real estate professional whose focus is entirely on peoples’ needs. Whether you are a buyer or a seller, there will be no hype and no over promising. An excellent communicator, she listens first, questions second and only then sets about designing the right plan to successfully sell your home. Wilkie is committed to providing superior service and exceeding his clients’ expectations. He sees Real Estate marketing as a process of bringing buyers and sellers together to negotiate the best possible deal in the shortest possible time. He will work tirelessly to provide an industry-best level of service and help you get the best possible result. Fiona is an enthusiastic and successful sales professional with a genuine passion for living life on Auckland’s North Shore. 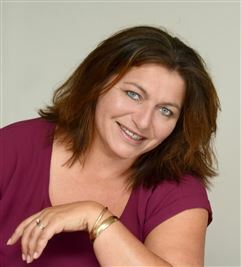 She takes great pride in her work and loves being able to assist families make the most of the North Shore lifestyle. Browns Bay house values increased by 10% over the last year to $1,054,800, Waiake values increased 7% to $1,329,300, Torbay values were up 12% to $1,052,350, Pinehill by 17% to $1,402,050, Northcross up 11% to $1,115,250 and Okura by 1% to $886,000. The average time it takes to sell a property in the general Upper East Coast Bays area is currently 30 days. Most expensive sale: $4.75m in July 2016, Sharon Rd, Waiake. To find out who sold it and the best agents to sell your home, go to our Agent Selector Service. The Upper East Coast Bays are benefiting from ongoing development, house values and immigration especially from the UK and South Africa. It's very competitive for listings and agents will work hard and do what it takes to secure an exclusive agency agreement. Private sales are not uncommon especially by young families and couples.